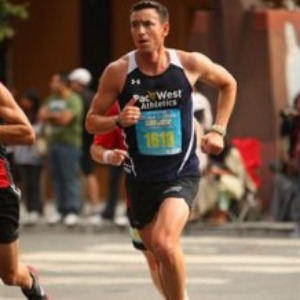 PacWest Athletics President and Co-Founder, Jay is a veteran USA Track & Field and USA Triathlon certified coach as well as certified personal training and master-level bootcamp instructor. He started competitive running at the age of 11 and completed his first triathlon back in 1985. He attended the University of Oregon and remains a competitive age group runner and triathlete having completed multiple Boston and NYC Marathons as well as Ironmans. He is a USA Triathlon All-American and recently represented Team USA at the 2012 ITU Long Distance World Championships in Las Vegas, NV. Also known as a running biomechanic specialist and natural running form guru, Jay currently is the only Newton Natural Running Form certified coach in both Northern and Central California. Success. Coach Jay Ridgeway has been notified of your message.